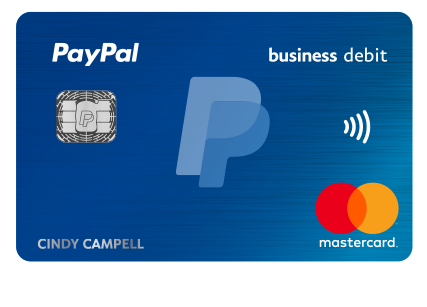 PayPal has started sending out mailers to PayPal Business Debit card holders that a new and improved card is on the way. Highlights to this new card include Masterpass technology from Mastercard, chip card, and a new design. The business debit card is great for quick access to PayPal money rather than wait for it to be transferred to your bank account or for them to send you a check. On top of being able to use your money this is a 1% cash back debit card giving you money back on your purchases without having to have a credit card. The new cards will start arriving in 6 weeks to those card holders. PayPal will send you an email once they are on their way. The new design looks very slick and modern, the way most cards are going now-a-days. What we also are seeing happen is your credit card numbers now getting located on the back of the credit cards instead of the front allowing for more security. I like the new feature for two reasons, one it makes the front of the card look slicker and second it adds for better security.